Visiting Sister Janepha at her farm in Baraki is always a treat. Since first meeting Jan in 2007 when she was studying at D’Youville College in my hometown of Buffalo, NY, she has become a dear friend. And seeing her in her element- running a fabulous agriculture project, overseeing development to support a dairy farm, rice cultivation, clinic, school and related community development initiatives, is a joy to behold. But somehow in my general state of bliss, I was completely unprepared for my surprise visit with Christina and her siblings. We had been introduced to Christina during our last visit in January, 2016. It was the first day of classes at Baraki, and the beautiful young children were enjoying interacting with our UB students- blowing bubbles, playing ball, and exchanging hugs and smiles (see January post for pics and story https://marabhuber.com/2016/01/23/more-gifts-from-tanzania-2/) Sister Janepha had first pointed out Christina- a sullen looking child, wearing only a uniform sweater paired with a native skirt and flip-flops. We learned that Christina and her siblings had been orphaned just a few days before. And although the Sisters planned to enroll Christina in school, they would need to raise funds with the hope of bringing her younger siblings sometime in the future. But upon hearing the story, our two UB students- Amanda and Julia- committed to sponsoring Christina’s schooling for the year. I was so proud and grateful that we were able to help. And upon returning to Buffalo, we decided to allocate additional fundraising resources to support Christina’s siblings, Stella and Jackson. Together, we were able to cover the cost of a year’s schooling and fees for all three children. The decision to sponsor the siblings had been a joyous one, but for some reason, I didn’t expect to see them during my recent trip to Baraki. The children were shy but they looked happy and healthy. And the hug that Christina gave me was so warm and strong that it nearly took my breath away. 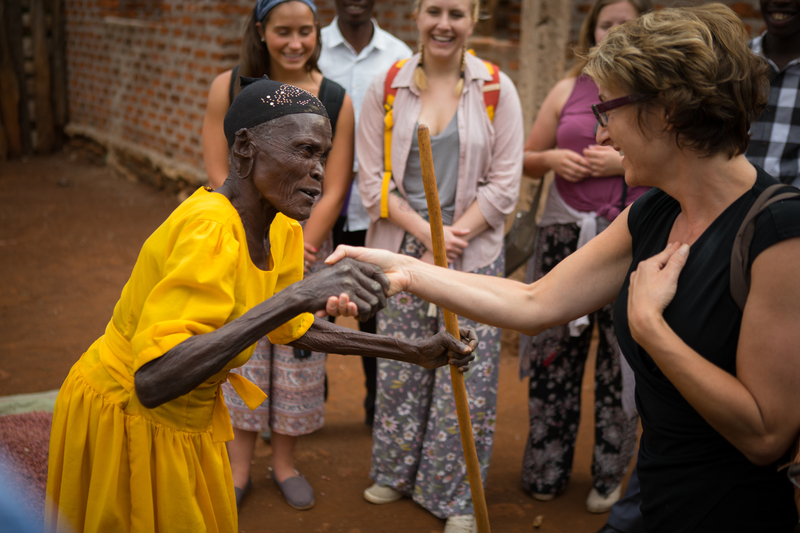 Perhaps this is what continues to draw me back to Tanzania- the closeness, the intimacy of connection, the ability to make a difference that you can feel, touch, and know in your heart. Often, here in my own world, things can feel so impersonal, artificial and sterile. Even when we support charities or good causes, there’s so much distance, so many layers of process and structure. It’s often difficult to feel our impact, our shared sense of humanity. But in Baraki, on a beautiful sunny July afternoon, I got to hug a beautiful child named Christina. And I got to know that at least for now, she and her siblings are safe and loved by the Sisters. I truly am blessed.